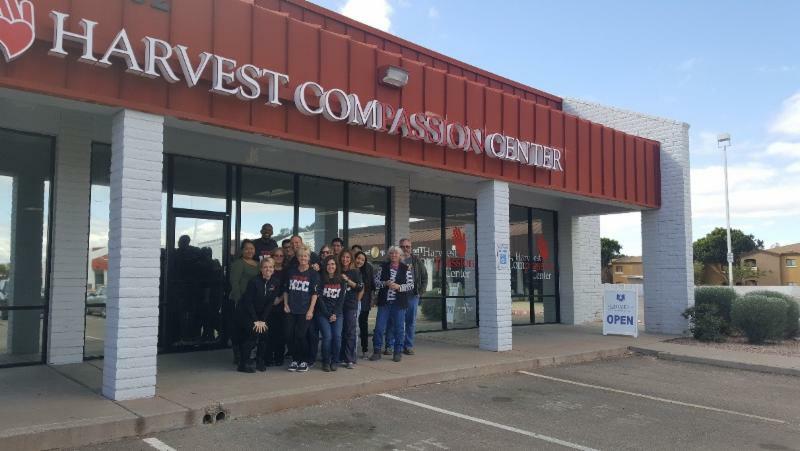 Since 2011, the Harvest Compassion Center Phoenix/Maryvale has been serving guests throughout the Valley. The HCC strives to be more than just a local food bank, it’s your one-stop shop! It is set up like a mini-mart and clothing boutique, where guests are welcomed to shop and choose their desired food items, hygiene products, baby items, various home products and clothing FREE of charge. We are open to the general public and provide service to anyone living in Arizona, as there are no pre-qualifications or appointments ever needed. Our desire is to welcome and love every guest who walks through our doors offering a first class service experience! We love taking time with each family who visits us, having one-on-one interactions and conversations which lets each guest feel truly welcome. Our hope and prayer is to continue to serve those living in and around the Valley, as well as expand our reach to every underserved area of the state. The HCC’s have served over 22,000 families since opening, however, it is still each individual story that makes an impact on the staff and volunteers at HCC. This place goes above and beyond per Adrie Olson who nominated this agency. They take pride in allowing their guests to shop for their own items. In their mini-mart style shopping center, their guests feel welcomed and given a voice. Everything is spotless and looks perfect. The labels of each can and food/hygiene items on the shelf is facing out and in perfect rows. It’s just like a store. From kids in school to someone looking for a job, families find the clothing items they need in the boutique. They can even change into the clothes they choose right away because every item is washed and dried and even ironed! They are a quality organization that strives for excellence in all they do.